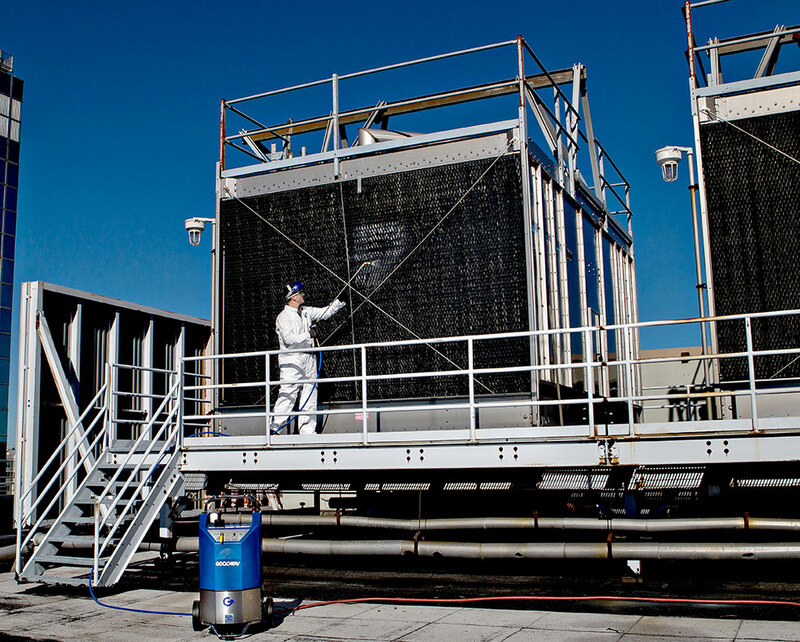 Dirty, crusty, scale-filled cooling tower fill is a perfect environment for bacterial growth, especially Legionella bacteria. This can lead to sick buildings and sick people. Cleaning dirty fill has been a huge headache and challenge - until now. The TFC-200 removes scale buildup, helping eliminate hiding places for Legionella, other bacteria, mold and mildew. TFC-200 provides a complete all-in-one system for cleaning lime scale and debris from your cooling tower fill. It's simple to operate. First rinse with an integrated 3 GPM, 300 PSI pressure washing system, then apply our newly formulated ScaleBreak®-Gel cleaner with the integrated chemical applicator. ScaleBreak-Gel starts to dissolve scale buildup on contact. Then switch to the included unique turbo nozzle in high volume mode and rinse and that's it! Watch as calcium lime scale deposits literally dissolve away, instantly restoring cooling system performance and lowering health risks. TFC-200 also applies our TowerShine™ foaming tower fill cleanser and our new BIOSPRAY-Tower disinfectant. Equipped with two high performance pumps, the state-of-the-art TFC-200 is powerful, yet safe, while it quickly removes scale and increases efficiency. 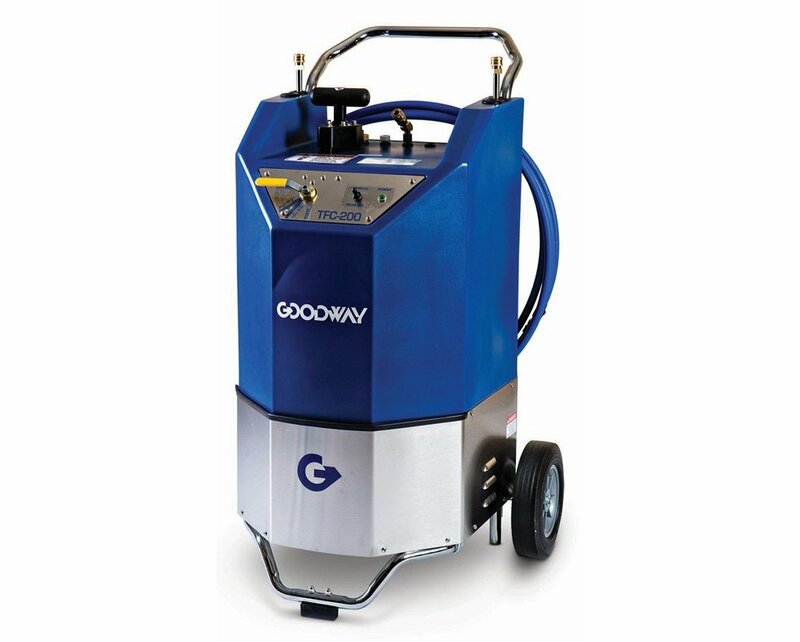 Add the CTV-1501 Cooling Tower Vacuum to complete your cooling tower maintenance package. PATENT PENDING. TFC-200, 25'' chemical resistant hose, spray gun, (2) 36" stainless steel extension wands, Turbo Nozzle, Foaming Nozzle, 15° spray nozzle, 40° chemical nozzle and a 45° quick connect adapter. Designed for ScaleBreak-Gel, the unique scale cleaner that clings to all surfaces for maximum scale busting performance.